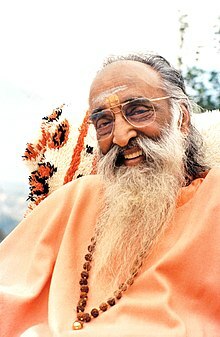 Chinmayananda Saraswati (May 8, 1916 – August 3, 1993), also known as Swami Chinmayananda and born Balakrishnan Menon, was an Indian spiritual leader and teacher who inspired the formation of Chinmaya Mission in 1953 to spread the message of Vedanta. The organization, which was founded by his disciples and led by him, has over 300 centres in India and internationally. He was also the Co-Founder of Vishva Hindu Parishad. At the Ashram I was told that the Maharshi was in the hall and anybody was free to walk in and see him. As I entered, I saw on the couch an elderly man, wearing but a loincloth, reclining against a round bolster. I sat down at the very foot of the couch. The Maharshi suddenly opened his eyes and looked straight into mine: I looked into his. A mere look, that was all. I felt that the Maharshi was, in that split moment, looking deep into me – and I was sure that he saw all my shallowness, confusions, faithlessness, imperfections, and fears. I cannot explain what happened in that one split moment. I felt opened, cleaned, healed, and emptied! 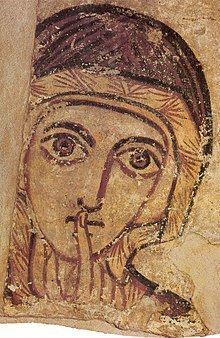 A whirl of confusions: my atheism dropping away, but scepticism flooding in to question, wonder, and search. My reason gave me strength and I said to myself, ‘It is all mesmerism, my own foolishness.’ Thus assuring myself, I got up and walked away. The guru is nothing but pure consciousness, Bliss and eternal wisdom. Divinity should not be given to you from somewhere else. The Upanishad thunders "Thou Art That. Faith is belief in what I do not know now, so I can come soon enough for what I believe in. Whatever the man of realization is the moral code for us to follow. The qualities of his actions are the standards by which the world determines its sense of justice, the concept of Dharma. Live morality before you talk to him. Practicing meditation before you preach. Goodness taste before you recommend. Gain bliss before you offer to others. What you have is His gift to you; what you do with what you have is your gift to Him. Efficiency is the capacity to bring proficiency into expression. The cultured give happiness wherever they go. The uncultured whenever they go. Introspect daily, detect diligently, negate ruthlessly. Substitute wisely, grow steadily and be free. Comfort - Comes as Guest, Lingers to become Host and stays to ENSLAVE us. Disappointment can come only to those Who make Appointment with the future. Temper takes you to Trouble, Pride keeps you there. He who depends on chances and situations to be happy, is a Sansari. Mind alone is maya at play. Remember, Even This Will Pass Away. It is sure to be dark if you close your eyes. He who submits to discipline is a DISCIPLE. Happiness depends on what you can give, Not on what you can get. In all adversities there is always in its depth, a treasure of spiritual blessings secretly hidden. Alert and vigilant living itself is a `Sadhana' in the true sense. Moksha' is not `Freedom from Action' but,`Freedom in Action'. Work without faith and prayer is like an artificial flower without fragrance. Faith is, `To believe what you do not see', the reward of which is, `you see what you believed'. Grace is only to be found by effort, although it is here and now. 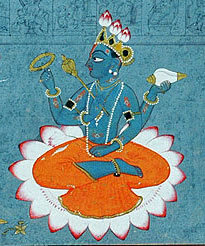 To say, `LORD IS' is Gyanam. But `THE LORD IS I' is Vigyanam. `Surrender inspite of Freedom' is the way of wisemen. Don't put the key to your happiness in someone else's pocket. Comfort comes as a guest; lingers to become the host,- and stays to enslave us. To forget oneself totally, one's mind should keep awake at every moment. A mind that has forgotten the past and the future, that is awake to the now, to the present, expresses the highest concentration of intelligence. It is alert, it is watchful, it is inspired. The actions of a man who has such a mind are exceptionally creative and perfect. Verily to forget oneself totally, is to be in perfection. Wisdom is the assimilated knowledge in us, gained from an intelligent estimation and close study of our own direct and indirect experience in the world. Temper brings you to trouble. Pride keeps you there. Unless we have a definite faith in the goal of our existence, and unless we believe, work for, and actually come to experience the goal positively as an existent factor, there is no hope of any plan becoming successful. More important than What is Behind you and what is Ahead of you is what is In you. Seek it. Centred in it, act and live. Universe is a cosmos and not a chaos. There exists a mental affinity; a scientific law; a rhythm of mental relationship in which the entire living world is held together, in one web of love. To assume differences in the world, is to belie this great Oneness in life. Love is a consistent passion to give, not a meek persistent hope to receive. The only demand of life is the privilege to love all. Bhakti is the attitude of the mind, and jnana is the attitude of the intellect, both flow towards the Lord. Be strict and intelligently critical about yourself and your own weakness and follies. But, cushion your words and attitudes with Love. Love is the greatest persuasive power we know in life. Everybody exists. It is only the few who live. To live, you should have an ideal. A man-of-wisdom lives in the world, but he is never of the world. The secret of success behind all men of achievement, lies in the faculty of applying their intellect in all their activities, without being mislead by any surging emotions or feelings. The secret of success in life lies in keeping the head above the storms of the heart. Plan out your work Then work out your plan. The former without the latter is a sheer waste. The latter without the former is mere unproductive confusion. To give without sympathy is to build a temple without the idol and is as futile as painting a picture with black ink on a black-board. Strange! Wealth estranges us all. It is all very strange, the money psychology! When you have not got any, you will pant to get some! When you get some, you grow jealous of others who have more, and feel conceited among those who have less! Know what to Do. And do it Yourself. Sandalwood perfumes even the axe that hurls it down! The more we rub sandalwood against a stone, the more its fragrance spreads. Burn it, and it wafts its glory through the entire neighbourhood. Such is the enchanting beauty of forgiveness in life. Fanatic secularism is as dangerous to the world as fanatic religion. Love is the heart of all religions; the theme of all classical works of art and literature; the song of all devotees. Scientists know only what love does, not what love is. Love is to human hearts what the sun is to flowers. Without devotion, knowledge is tasteless. Without knowledge, devotion is mere empty idol worship. To remember the ever present Divine at all times, even while acting in the world, is the most positive practice for a seeker who is striving to evolve. He will thereby transform his inner personality from its present condition, to a state of harmony and efficiency. The greatness is not what we do, but, unavoidably it is always in how we do what we do. Our present work may be great or small, Yet, the important is to do it well. Stop all your attachments to false values. In an ever changing world, there is nothing worthwhile for us to desire or weep for. Joys and sorrows are bound come in human life; they are just like the two sides of the same coin. Hindu culture is essentially based upon the sacrifice implied in duty, and not upon acquisition, which is implied in rights. The cultured give happiness wherever they go . The uncultured whenever they go. Everyone points to the other man,who, according to him, is happier But the only one, who has the courage to declare that he is truly happy, is he who has relinquished all his passions and hungers from within. A Conquest, without facing dangers is as dull as Victory without a shining glory. A game without a prize! All disturbances and challenges rise not only from our relationship with others, but in our attitude to all other things and beings. Charity is an attempt wherein I try to expand and bring into the ambit of my life, all others around me and grow to consider the other man's needs and requirements as important as my own personal needs. 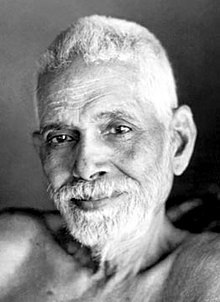 To live seeking an identity thus, with at least those who are immediately around me, is to live away from the suffocating selfishness and the throttling grip of my body-consciousness. The God-Man functions as a true 'sportsman' in his playfield, where the very enjoyment is in the sport and not in the score. There is no companion like solitude. One who knows how to tune himself to the inner silence, even in the midst of the din and roar of the marketplace, enjoys a most recreative solitude. Seek the Lord In the smiles of your friends, In the glow of angry eyes, In the storms of passion. He is everywhere, in everything. Character is formed from the repeated choice of thoughts and action. Make the right choice - You shall have a firm and noble character. The glory of life is not never falling. The true glory consists in rising each time we fall. The greatness in an ideology is not, in fact, in the ideology; but it is in the subject which lives that ideology. Out of purity and silence come words of power. When opportunity knocks, We are either out or sleeping in. To be patient means to suffer something that hinders or hurts us, and still retain our self-composure. *How many difficulties, with their consequent unpleasantness and discord, could be smoothed over and almost entirely eliminated by patience. Patience always elevates and strengthens our character. We need it not only with others but also with ourselves. The secret of action is to get established in equanimity, renouncing all egocentric attachments, and forgetting to worry over our successes and failures. To define God is to defile God. Prosperity is like wine, which goes to the head, and makes man forget his Creator. History is full of instances, wherein, victory would have been to the vanquished, if only they had battled a little longer! We often fail for lack of perseverance in our efforts. We leave our work half done in our impatience. Every job demands its quota of efforts. Never give up too soon. Disappointment can come only to those who make appointments with the future. In life, the glory lies not in the quarry, but in the chase. One single ideal can transform a listless soul into a towering leader of men. The average man looks up at night And sees thousands and thousands, of twinkling stars, Each different from the others. But a man of wisdom and achievement, Perceives the one light, Behind the dark dome of the night-sky, Whose incandescence peeps at us, Through all the holes in the night-dome!! To see the one in the many is the casual vision of knowledge. To see the many in the one is the mission wisdom. To do your job even if circumstances are not conducive, is our gift to Him-who is the sole Lord of all circumstances. Don't expect them to fully understand you. They won't: So ? Demonstrate with results what they would not understand with words! Spirituality is neither the privilege of the poor nor the luxury of the rich. It is the choice of the wise man. Sri Jayendra Saraswati:Swami Chinmayananda being the first person to have translated the Gita in English, played an important role in propagating this text across the world to all age groups. Swami Chinmayananda being the first person to have translated the Gita in English, played an important role in propagating this text across the world to all age groups. This page was last edited on 18 September 2015, at 14:02.